Small black birds are inked on this girls shoulder from her right breast to her shoulder. The birds are simply done and seem to be flying around in random patterns. 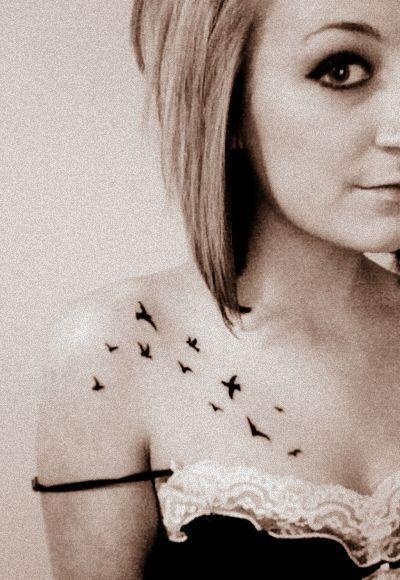 A nice and simple birds tattoo for girls.